IMPOSSIBLE IS NOTHING 没有不可能 adidas Group For over 80 years, the adidas Group has been part of the world of sports on every level, delivering state-of-the-art sports footwear, apparel and accessories. Today, the adidas Group is a global leader in the sporting goods industry and offers a broad portfolio of products. Products from the adidas Group are available in virtually every country in the world. As a company, we are organized around our biggest businesses and best-known brands: adidas, Reebok and TaylorMade-adidas Golf. Each speaks to consumers in its own unique way – whether in team sports, individual expression, lifestyle or recreation. Together, they remain united in sport. The group’s headquarters is in Herzogenaurach, Germany, from which activities of the company and its more than 150 subsidiaries are directed. 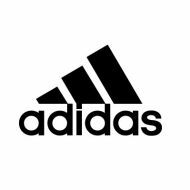 As of December 31, 2006, the adidas Group had employed 26,376 people. Corporate Mission Statement We are consumer focused. / We are innovation and design leaders.